Home / Blog / Archive by category "Content Marketing"
Are Your Videos Optimized for the Rising Mobile Traffic Trends? Mobile traffic is growing each year and has already surpassed desktop access. The reason for this trend is straightforward enough. Mobile device use has surged over the past seven years. In addition to using them for phone calls and texting, people are increasingly taking advantage of the Internet access capability of these devices. It makes little sense to wait until they reach a desktop computer when the mobile devices on their person give them convenient access to the Internet. Because of this trend, many businesses have mobile friendly websites that accommodate the smaller screen sizes of the different mobile devices in use. However, accommodating mobile traffic doesn’t end with mobile friendly websites. Color choices, text fonts, and the types of buttons used on a web page also affect the mobile user’s experience. Getting any of these wrong may hurt conversions. Even with these web design modifications, reading lengthy text articles on a small, hand-held device is difficult. In addition, mobile users aren’t always in an environment that’s optimal for reading. These people are typically on the go and don’t have the time or inclination to read a lot of text. 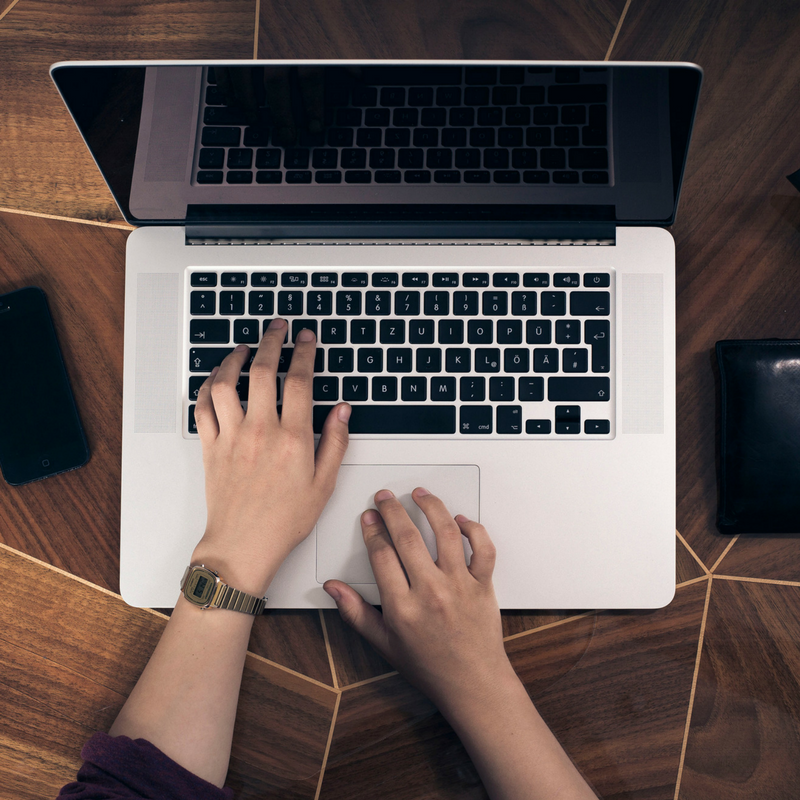 While it’s convenient to copy and paste embed code from a video host site into your web pages, the result may not look good on mobile devices. That’s because the video player may retain its size on smaller viewing screens even though the rest of your website is mobile friendly. A responsive player will proportionately scale its size to fit the screen of a desktop as well as those of other smaller devices. When hosting or embedding video on your site, verify its responsiveness by viewing it with devices of different screen sizes. Videos with text that read well on desktop screens are often illegible on smaller screens because a responsive video player will scale down the size of the video along with any text it displays. Compensate for this by using large bold font. For similar reasons, use close-up shots on important details in your video. While this may be unnecessary for large screens, the same details on smaller screens will be impossible to see or cause eye strain. Don’t be afraid to zoom in on small details. Many mobile devices have poor quality speakers and are used in noisy environments. A video with poor quality audio simply adds to the overall poor sound quality. Speak clearly and loudly, avoid recording your video in noisy environments, and set the microphone at a sufficiently high level that doesn’t distort the sound. For best results, record in a sound-proof area. 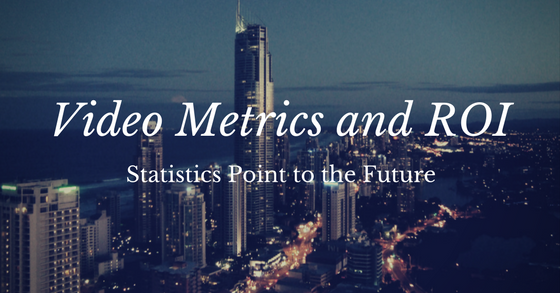 The maximum length will depend on the type of video and its intended audience. Video advertisements should be short. Ten seconds work well for young viewers while 30 seconds are best for older adults between 35 and 54 years of age. Use longer advertisements when explaining complex issues. 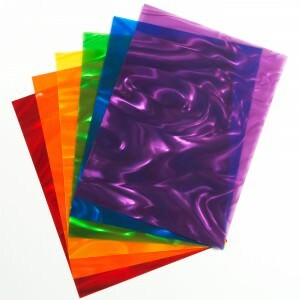 On the other hand, instructional videos should be of sufficient length to be useful. One problem with long videos of this type is quick access to the sections of interest to the viewer. Break the video into a series of smaller ones. Give each smaller video a name that’s descriptive of the information it contains. 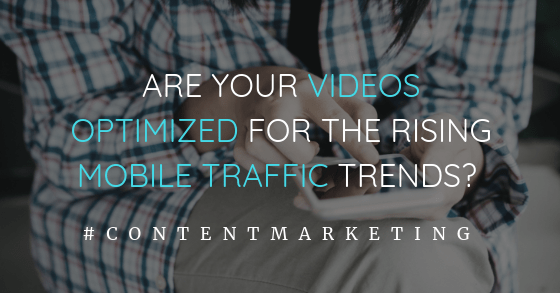 Looking for help on producing quality videos for your mobile traffic? 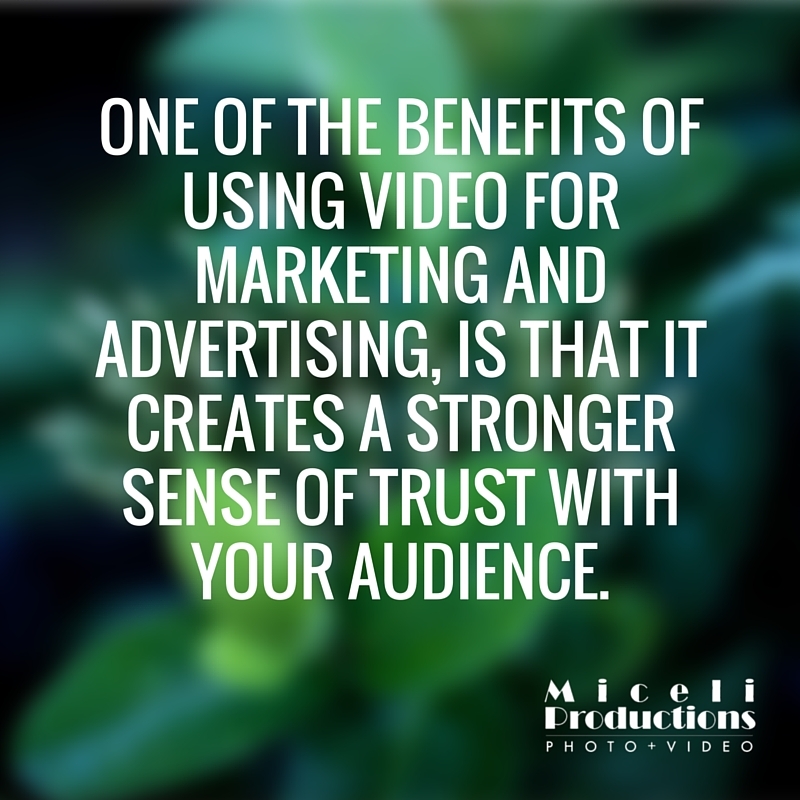 Miceli Productions have the experience, expertise, and imagination to make it happen. Contact us today! 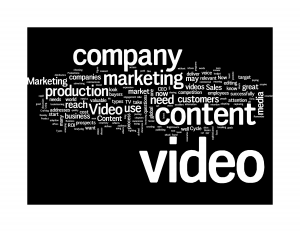 Video content marketing has been extremely beneficial for the vast number of businesses that exist today. 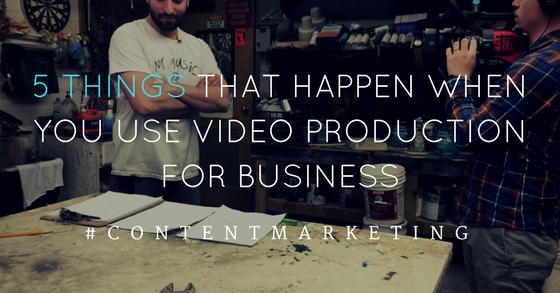 Part of what makes videos so useful is that they can serve multiple purposes on multiple platforms. For example, when visitors come to your official website for the first time, it might bode well for you to include a sleek, professionally produced video on the homepage that contains pertinent information related to your company. A video can also be useful for your business travels so that you have another way to explain your business to people with whom you come in contact. But what seems to be the top platform for video content right now is social media. If you are going to implement a video marketing strategy, you’ll need to use your videos on social media to develop an even broader audience. Let’s take a look at some current trends in video marketing and how to use them to boost your social media presence. Quality Will Outperform Quantity: This is applicable to most things in the business sphere; if you want to win over your audience, you’re only going to be able to do that with high quality video content, not a surplus of video content. Tempting though it may be to churn out video after video with the hopes of attracting and maintaining the attention of social media followers, it will prove to be more damaging in the long run. 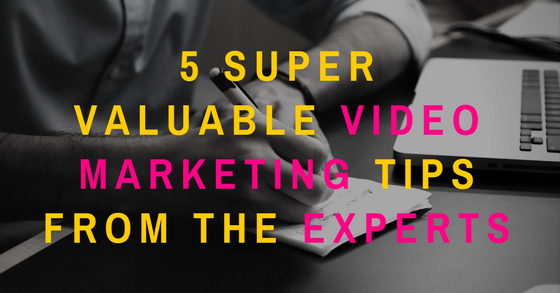 You really don’t need tons of video content to make a good impression. Instead, you need high quality video content. And high quality means that it should be produced professionally with the right equipment, and the content within the video must be of interest and value to the user. Focus on developing smart, laser sharp strategies with your video content rather than uploading videos with no end goal in mind for those videos. The Video Marketing Budget Will Continue to Grow: As video content continues to take up more of the “content pie”, so too will the budget for video content marketing continue to grow. More companies and brands will place heavier emphasis on developing more strategic video marketing campaigns and that will require them to shift the marketing budget toward video content. And not only will the video content budget continue to grow in order to boost brand identity on social media and other parts of the web, so too will the budget for video advertising. Don’t expect to see a lack in brands that continue to invest in video ads on YouTube and other social media platforms. Engaging Videos Will Be Become “King”: Of all the types of video content that exist, engaging videos will be at the top of the list. These videos prioritize conversation. For example, once the video ends, viewers will see text that includes instructions like “leave a comment”, “subscribe”, and “share this video”. So when you are creating your video content for social media, you are going to want to include these phrases since the purpose of them is to capture and hold the attention of your viewers. It is vital that you create engaging videos since they will show platforms like Facebook and YouTube that your video is doing well enough to rise to the top in rankings and visibility, thus getting more people to see and share your video. 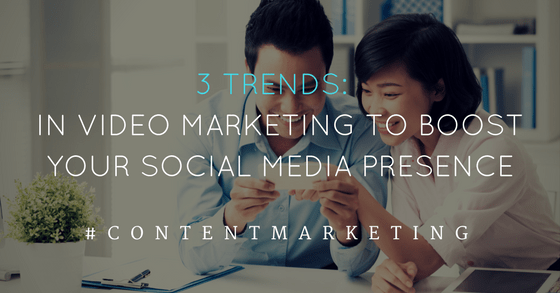 Want to learn about the many other trends occurring in video marketing both online and offline? Feel free to contact us today with any questions or comments you might have. 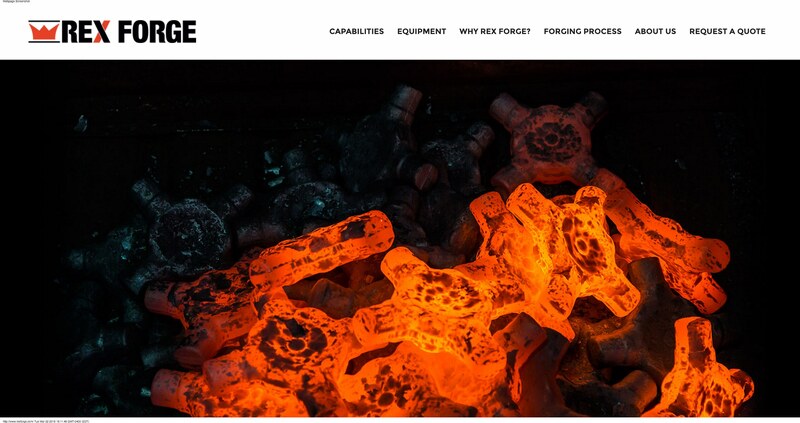 Don’t forget to visit our official website and keep reading our posts for more free resources. 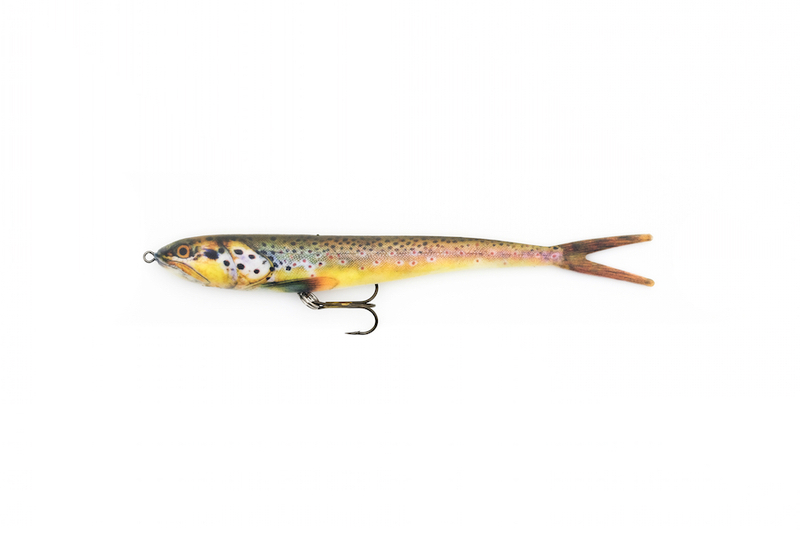 Do I need professional product photos for my e-Commerce site? product photos for my e-Commerce site? Visual content is an essential foundation of a business’s website. Most people who view websites daily are more attracted to images than pages that are only filled with paragraphs of text. This preference of website viewers will certainly increase over the coming years. 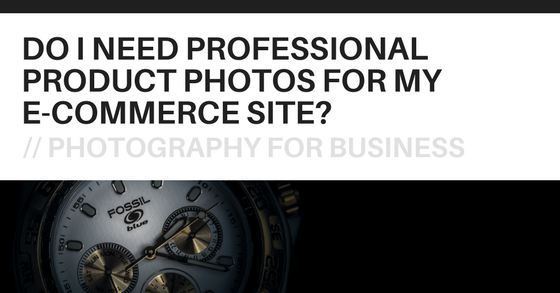 If you have not had a chance to sit down and plan your product photos for e-commerce posts, this is the perfect time to do so. Photo for Lil Bird Design by Miceli Productions. You will find that many consumers will browse a variety of websites in order to find the lowest price. As more consumers are taking this route, more businesses are putting more money into their marketing strategies in order to keep consumers’ eyes on their websites. Regardless of what type of products you sell, there are going to be some of the same types of products on other websites. This means that your website should have the perfect product photography strategy, regardless of the size of your business. It does not matter if you want to address a small market or a global market, one of the best ways to distance yourself from other retailers is to use perfect imagery. Selling products that are authentic and of higher quality than other products? Your images should reflect the products you are selling. In 2017, businesses are placing a heavier emphasis on what they post to their social media networks. Social media viewers react, whether positive or negative, to images on social media that are of high-quality. 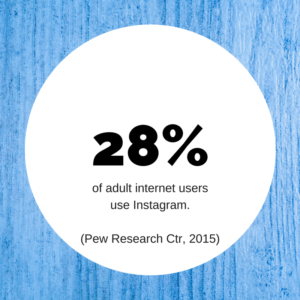 Social media viewers love to share visual content that is attractive and interesting. What does this mean for you? Simple. Your product photos for e-commerce should look professional. This also means that your product photography should be able to set your brand apart from others. 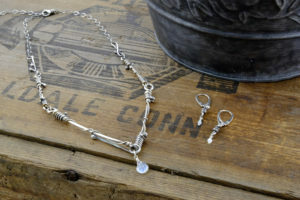 You want your social media presence to be above the rest, and product photography can be the key to making this happen. Photo by Miceli Productions for NextGen Baits. If you post on Twitter, you may not always like the fact that you are limited to a word count. However, posting a single image can attract more attention than just 140 (or even 280!) characters. As an e-commerce business, it is important that people have the opportunity to effectively view your products. Your products are the foundation of your business, right?! If your photographs do not reflect the actual quality of your products, the entire perception of your customers and potential customers can change greatly. It does not matter where you are, you will always see people walking or driving around with a mobile device in one hand. More people have access to the internet because of mobile devices. This means more people will view your website, your products, and your social media pages on the go. Due to the increased amount of internet usage, it is so important that you capture people’s attention quickly and easily. Photo for Rowlux by Miceli Productions. When many people are using their mobile devices on the go, their attention span can be limited to short browsing periods of a few minutes each, as they come and go to content. 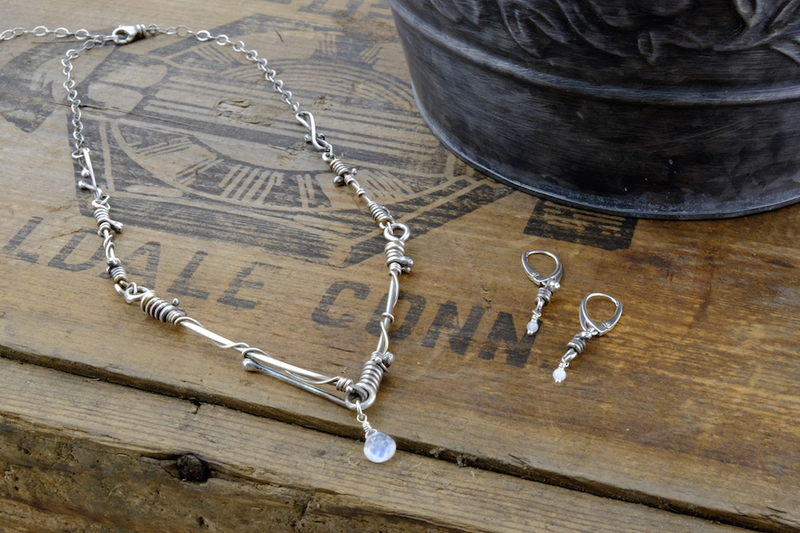 When you have great product photography, you can quickly capture someone’s attention, giving them the push they need to find additional information about your business. There are so many businesses competing for the same audience of consumers. You just cannot ignore the needs of your consumers. Consumers need to see high-quality images that will motivate them to add the item to their shopping cart and purchase. It is easy to have high-quality photographs on your e-commerce website and your social media networks. Are you ready to target your audience with high-quality product photos? Contact us today. Want results? 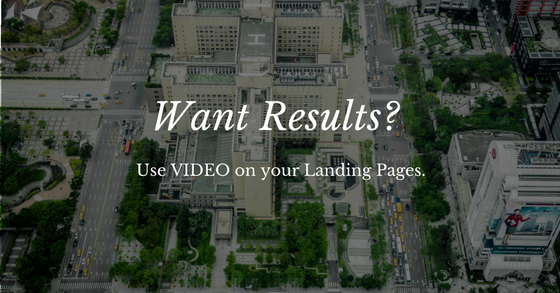 Use VIDEO on your Landing Pages. 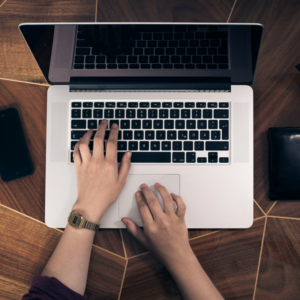 A video landing page is highly effective — especially when you use video on lead generation landing pages and email opt-in pages. Landing pages are designed for the sole purpose of making conversions. Unlike other web pages such as the home page, landing pages focus on one thing: enticing the visitor to take one desired action. This can be any one of a number of actions including making a purchase, joining an email list, or filling out a lead generation form. Many of the attributes that attract people to video such as its ability to engage, tell a story, and evoke emotion, also make video highly effective on many types of landing pages. Read on to learn why your video production for business should target landing pages. It’s easier to absorb. Reading text requires more concentration, which may be difficult for the visitor depending on her or his circumstances. Mobile device users access the Internet wherever they happen to be, often in places which aren’t exactly quiet libraries. By contrast, consuming video is effortless. 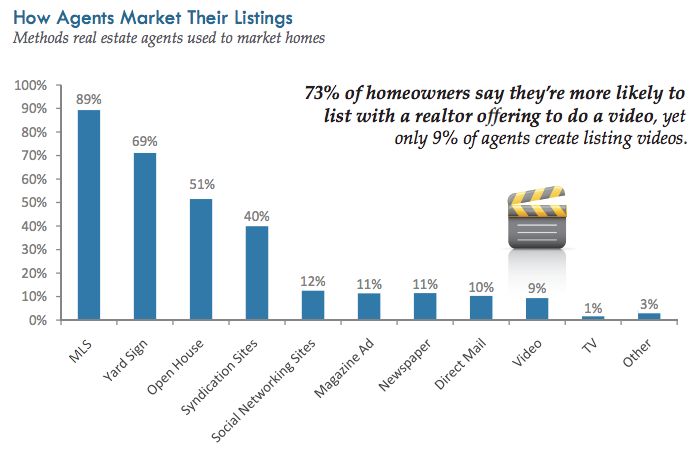 Because of this, more people will stay on your landing page and consider your offer. It shows your product in action. Seeing and hearing your product in action gives the viewer a clearer idea of its benefits, what it looks like, and how it performs. That’s a lot of information (and therefore effort) to take in via text, yet is effortlessly absorbed as a video. It’s also easier to imagine oneself using and benefiting from the product. Once the viewer engages in this kind of vicarious experience, a conversion is close at hand. It makes a more lasting impression. 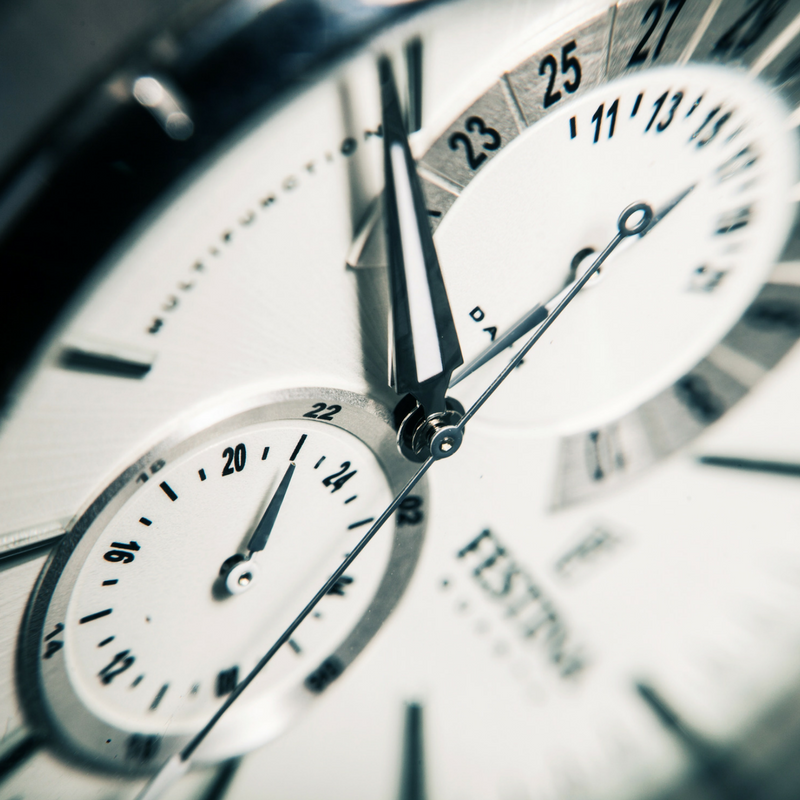 People often take their time before making purchases. This means they will leave your landing page and think or sleep on it a bit before returning later and making a purchase. Some people make multiple visits before deciding. This can only happen if your presentation makes a lasting impression. Video does this well because it combines moving images, words, and sounds that serve to reinforce memory. Emotion, which video effectively conveys, also strengthens memory. It increases trust. Trust is an important conversion factor. Even when the legitimacy of a business isn’t an issue, people still prefer doing business with those they know something about. 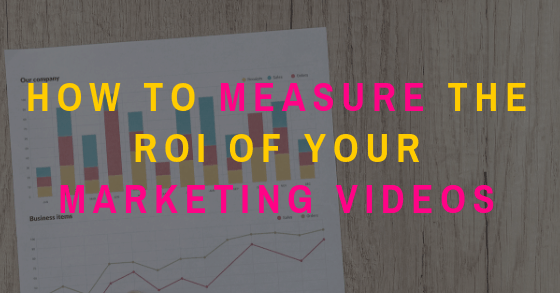 Although you can accomplish this with a photo of yourself on your website and with lots of helpful blog content, a well-made video does this more efficiently. One of the most important landing pages is the email list opt-in. Email marketing has been in use for a long time and is still highly effective today. Despite this, too many websites rely exclusively on an opt-in form that’s placed in a corner of each page. However, people have developed a blindness to items on the periphery of a page because that’s where adverts often reside. This is one reason why building a large list takes so long. Businesses fail to give the list sign-up the same priority as is given to selling a product or service. Opt-in rates, and therefore the cultivation of repeat customers, would be hugely increased with a dedicated landing page. This is especially true when it includes a video of you personally promising the viewer the specific benefits of joining your list. Video is also effective on lead generation landing pages. Using white papers to entice visitors to fill in contact forms works. However, conversion rates are higher when the white paper is given a sales pitch using video. Make a strong case for reading the white paper by telling the viewers what they will learn and by extolling its benefits. Give away some of its information as an “appetizer.” Make a point of how much they are getting by simply filling in the form. Keep it short and sweet. The effectiveness of a video landing page depends heavily on its video quality. Need help with your video production? 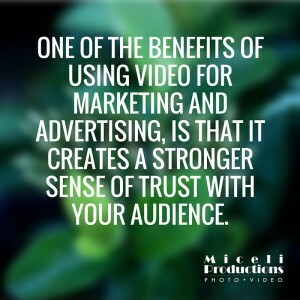 Contact us at Miceli Productions. Trending now: Leverage your video to get new leads! Congratulations! You’ve gone through the (mostly) painless, but nevertheless time-consuming process of getting a video made for your brand. There were numerous scripts and lots of digging into your company’s history as you crafted the story around your perfect pitch for all the world to see. Now, you have a perfectly crafted, 2-5 minute pearl of content with an elegant balance between providing value and advertising. So, what do you do with this wondrous piece of media, so full of potential? You need a plan to leverage your video and get viewers. A video does you no good if no one watches it. Have a plan to leverage your video and get viewers. Too many video production companies leave clients high and dry with content that they have no idea how to effectively leverage in today’s social media sphere. Is the video formatted for optimal playback online? Is it a favorable codec for YouTube, Vimeo, and Facebook? A video does you no good if no one watches it and it sits on your desktop. Have a plan to leverage your video and get viewers. It’s time to get your content out into the world and in front of the target audience you so carefully crafted it for. Here are a few key places to get you started. We’ll be starting by dispensing the obvious choice first. Your website should absolutely have your video featured on it, especially if you’re a small business. 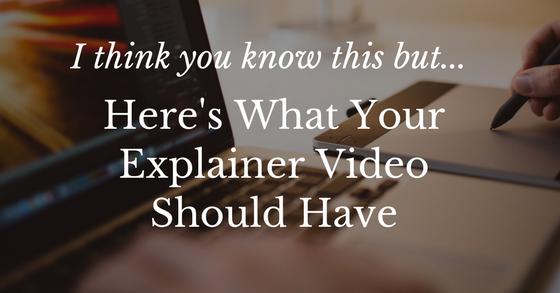 Where your video ends up on your website is dependent on what the video is about. If it’s an introduction to the business then there’s no question, you should place it front and center on the homepage (or landing page). If it’s more about the founding or history than the About Us tab would work well. If it’s a summary or demonstration of your products, it could still go on the homepage but could also live in your e-commerce section. Don’t worry about having your video in too many places, make sure it’s easy to find (but turn off auto play). Depending on who’s hosting your website you may need an external video hosting service to properly play your video. Many website hosts have extremely limited space or charge a premium for larger media content like videos. The easiest solution is to use a source like Vimeo for permanent hosting. Vimeo is already a good spot to have your video and it has a professional edge to it that will fit in with your sleek website. YouTube is an alternative host, and you should have your video featured on YouTube (you should probably have an entire channel), to ensure you are capitalizing on the search algorithms that Google (the parent of YouTube) has in place. NOTE: Embedded YouTube videos show related videos based on their own search algorithms. This means visitors to your site can get lost in cat videos or worse, your competitor’s content! So, it’s extremely important to have your Channel settings selected appropriately so “related content” won’t be displayed on your website. Have your video on both of these websites independent of wherever else you post it. Vimeo is handy for an easy permalink you can send to clients and other businesses. With a business account, you can have a link like vimeo.com/yourbusiness/yourvideo. The link doesn’t look spammy so the link won’t scare people. It’s also short enough to stay memorable and be easily typed into a web browser. YouTube is still the world’s powerhouse of video content. You should have a channel dedicated to your brand; it’s as important as having a Facebook page. Even if you don’t have a channel, YouTube offers a free source of viewership and discovery for anyone looking up your company. It also offeres customizable playlists that can be useful for sharing out a series videos. Above all, keyword your videos and make sure anyone searching for your brand name finds your video first! Getting views on Facebook isn’t as simple as posting a link to your YouTube or Vimeo or even your website. Facebook has a strategy to become the king of video online; they support and promote native uploads. This means you should upload the video using Facebook’s uploader instead of linking to it. Facebook will reward you by showing the video to more people on Facebook than it would a linked video. You can pin the video on your Facebook page so any new visitor can watch it to quickly learn what your company is all about. Copy your video on to a flash drive or DVD. This allows you to take it around to places that may not have a computer. Your company video can get a lot of mileage at Trade Shows and Conventions where most booths are just piles of advertising pamphlets. A video is a great introduction if you want to talk with anyone who stops to look, even if they don’t watch the entire thing. Professional production companies can make your video loop so it can run at your station even if you’re making the rounds, shaking hands. That is, after all, what you designed the video to do. It actively advertises for you. It features the best that you have to offer completely independently. If you’re thinking about using video in person, also consider 360º video or VR video (virtual reality) to give users a complete picture of what you’re sharing. We can help you leverage your video and select the right video for the specific application you have in mind. Now, start maximizing your video! Get it out there into the world and get new leads to walk through your door. New some advice on how to leverage your video? Give us a call (203) 936-7761 or Contact Us. We use Mike and his company numerous times a year and his work consistently exceeds expectations. He's able to take raw video footage and with little or no guidance turn it into an effective web or video piece that captures the essence of our individual productions, creating a positive impact on web traffic and sales. Great with turnaround and has been very accommodating with scheduling."